Remarkable corner unit townhome in the exclusive row home section of the Domain development by Holborn. 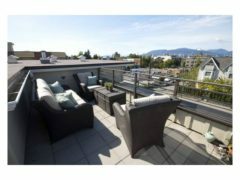 Commanding the North corner with amazing mountain + city vistas, and broken over 3 levels with a private roof top patio (perfect for entertaining), this large 2 bdrm 2 bath suite is uniquely laid out with stairs leading to the main level capturing open modern kitchen w LR + DR + dramatic 12′ ft ceilings. The split level 2nd stage houses the large 2nd bdrm + main bath with great landing area ideal as a den. Top living area commands the luxurious mstr suite complete w walk-in closet, master bath, and mountain views. Private rooftop patio complete the top floor. Pet + rental friendly. Open House Sunday Feb.23 from 2-4pm.